How to keep your beloved pair of jeans in tip-top shape has long been debated by experts. While some have advised denim lovers to simply freeze their jeans instead of throwing it in the washing machine it turns out that's a complete myth. In fact, that’s like never showering from the waist down! With white denim, it’s important to wash with other white garments, and nothing too delicate as denim becomes quite heavy in the wash. Washing on cold with a detergent like Tide PODS Plus Downy to both clean and condition your denim in one step. 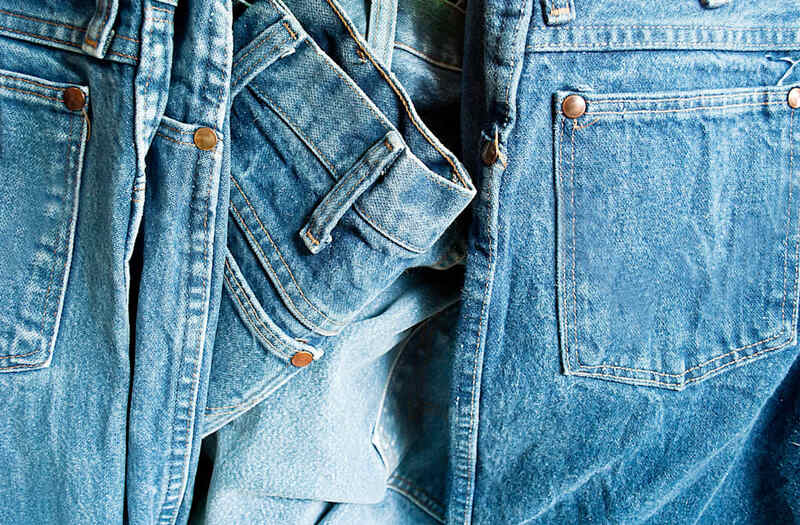 Air dry or tumble dry on the lowest heat setting to preserve the fit on your denim. With black denim, it’s important to wash with other dark garments, and nothing too delicate as denim becomes quite heavy in the wash. Maintaining the integrity of the black wash is important – adding Downy Fabric Conditioner to the rinse cycle helps maintain the original look of the black denim. Indigo dyes are notorious for losing color or bleeding onto other close fabrics. To preserve the color of your favorite deep indigo wash denim, turn them inside out and wash on cold with like colors with a detergent like Tide PODS Plus Downy which contains ingredients to protect from chlorine fading in the wash.
Use Downy Fabric Conditioner during the rinse cycle because it can further help prevent fading. To preserve denim’s finish, it’s best to wash denim in cold water on the delicate or hand wash cycle using a gentle detergent like Tide Free & Gentle Liquid Laundry Detergent. Place denim in a mesh bag for delicates (like these) to prevent any snags during the wash cycle. Fill a tub or sink with water (recommended temperature on label) and add 1 teaspoon of Tide Free & Gentle detergent (use more if washing multiple items). Submerge jeans in soapy water. Gently stir until denim is clean. Empty tub or sink and refill it with cool rinsing water. Add clean jeans to water. Dissolve 1 tablespoon of Downy Fabric Conditioner (or enough to cover the bottom of the cap) in 1 cup of water. Move jeans to the side of the tub and pour the fabric conditioner solution directly into the rinse water. Stir the fabrics in the rinse water several times, then soak for 2 to 3 minutes. Stir the jeans several more times. Gently wring, and lay flat to dry. Clothes can actually be dirtier on the inside than on the outside as a result of body soils and environmental odors. This is especially true of jeans since the body areas they cover include a lot of skin -- which adds up to a lot of soil just on the inside of your jeans. Jennifer Ahoni, Tide's go-to scientist, advises people to wash their jeans after 3 wears to prevent odor buildup. With that said, it’s a common misconception that you should go as long as you can between washes to extend the life of your jeans. Looking for more expert-back tips? Check out the slideshow above for the ultimate guide to taking care of every single type of denim in your closet.